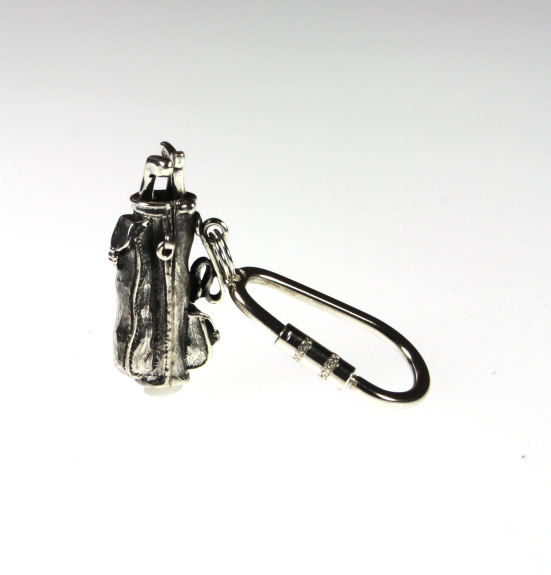 A neat Golf Bag Keyring made in sterling silver with golf clubs, bag and side pocket. Lots of detail. Presentation Box. A lovely novelty keepsake gift for golfers.